Life Insurance is nothing but the insurance covered for your Life. In case of death the sum assured is given to the nominees.Unfortunately in India, people see Life Insurance as Investment Product and not as an Insurance Product. They don’t understand that insurance gives financial security to their dependents in case of there death, rather they see it as the last benefit provided to them and the most important thing for them it that they get the money back in case they survive the tenure of Insurance. People are ready to pay higher premiums to Insurance Companies for a policy which gives them death and survival benefits like Endowment plans and Money back plans. People are not ready to pay premiums if they don’t get any thing in case of surviving the tenure and that’s the reason why Term Insurance never became popular in this Country. That’s also the reason why many people are under-insured because of the high premium, they cant pay for higher insured sum. Many People even don’t know that Term Insurance exists, the reason for that is their insurance agent never told them about it, because they get a very little commission on it unlike Endowment Plans. Life Insurance is to provide a good enough cover to dependents in case of death. This is the only target of life insurance. Rajesh is a salaried person with salary around Rs 20000 per month , He has 2-3 dependents like his parents and wife. Rajesh can afford maximum of 10% of his salary as insurance premium outgo in a year. So Rajesh takes Endowment plan of Rs 10 lacs for 20 years in 2005. If he dies between 2005 – 2025 , his family will get Rs 10 lacs. If he survives till 2025. He will get Rs 10 lacs. There are some points to consider here. He is highly Uninsured, Rs 10 lacs is very less amount to get covered. He needs at least Rs 25-30 lacs as cover, as he have financial dependents. The premium of Rs 2,000 monthly or Rs 24,000 yearly is not a small amount at the moment and adds to his financial burden a lot. In case of survival he gets Rs 10 lacs, but in 2025. Considering inflation at an average of 5%, the current value of that amount will be Rs 3.5 lacs. Which means in 2025 the value of that 10 lacs will be very less and considering that after 20 years rajesh will be earning very good money and Rs 10 lac at that time will be a small amount for him, may be less than what he may be earning in a year. It means It does not benefit him a lot after 20 years. If he takes Term Plan , he can get a lot more cover in very less premium , and can invest the surplus money in much better investment avenues like Diversified Mutual funds or Equities. He can take a term plan of Rs 30 lacs for 30 years , with an annual premium of 9,000 per year . (including service tax , approx). So instead of Rs 24000 in a year he can just pay 9,000 can be covered for 30 lacs and that too for 30 years. He can invest the extra 15,000 (24000 – 9000) in diversified mutual funds with good track record for next 20 years through SIP every month or yearly lump sum . Let be on the safe side and be pessimistic and consider returns around 18-20% CAGR for next 20 years..
remember that this is for 20 years and not 30 years. In 30 years it will be much much more … for eg at 20% it will be 1.77 crores and 13 crores at 30%. – If he dies late , his family gets 30 lacs + his investments which has grown a lot now. The biggest thing to consider is that his Family is covered with good amount in case of his death , which is the main factor and sole idea of Life Insurance. According to me , Endowment and Money back plans are investment products with a pinch of Life insurance in it. Term Insurance are the best , simple , “pure life insurance” and “must have” product. I am not against Endowment policy or Money back Plans , but they have a different motive. Don’t see what it takes from you , see what it gives you. Hi Manish, do you have an article or discussed these topics? 1. Is Life insurance provided by employer enough? 2. If not then should I buy the additional life cover from the employer (as its cheap) or from third party? This is really a great article. I like the way you explained with an example. Recently I got to know about SBI Life – Smart Wealth Builder plan. SBI is promoting it by saying it is much better that PPF. Interest Rate is 9.2%. Please suggest if the plan is actually better than PPF. Also please share it’s positive & negative points. Just ignore it .. Its not comparable to PPF directly ! I have taken the LIC Jeevan Anand plan and pay Rs.30,000 annually as premium.I have paid 4 premiums till date. The term is for 25 years. As its giving less returns, I want to surrender the policy and want to get a Term Insurance. Please tell me how much money will I get if I surrender it? Is it a better to surrender it or should just stop paying premiums and get the total amount on maturity? As of now if you surrender, you will surely get very less, but its not a bad option compared to making it paid up and taking all premiums on maturity ! .. Go for it ! I have taken Income Tax benifits for last 4 years on those premiums. Do I have to pay tax for last 4 years? or will it be exempted? Not after 3 yrs ! I am retired in Nov_2013 . Now got lumpsum amount as retirement money. I invested 25lacs in pension plan Jeevan Akshay for regular income for me. still I have to pay 2lacs rupees as income tax. Please suggest any ways to save that huge amount. I want to plan for LIC arogya as mediclaim policy. Apart from this any other investment that I can do ? You seem to be very inclined towards LIC . Have you done all the research for all the options available ! NO ! please suggests any better options which save my tax & also have any mediclaim policy (which is require in this phase). LIC arogya is not a FULL FLEDGED health insurance plan . Its just a defined benefit plan, means you get a lumpsum cash . Its not like a regular health insurance plans. If you want PSU company , better go for Oriental then ! like donation of anything else.? Pension plans will always attract tax as it is taken as income earned. Here you can use multiple endowment plan as pension plan. As life insurance maturity amount is exempted out of tax. I am sure Manish can put more light on the same. I wanted your suggestion on my current investments. I am a single female with no depedants as such.My parents are retired and pensioneers. 1.Term Insurance -LIC Jeevan amulya 40 lakhs. (For life cover ,i know this is not an investment option). 2.PPF -around 60k ( i am looking at this as a pension plan). Do these investments look fine in terms of the cover i need as of now.Could you suggest any other schemes where there is little risk as my risk appetite is not much. These are fine , but why are you not invested at all in equity products. Even if your risk appetite is low, its fine ,you can invest some money in balanced funds to start with ! Good article, gives me a clear cut idea about insurance policies. I am 39 years old, planning to take 25 yrs term policy for 2 crore. Should I go for one policy with one company OR split the amount among 2 insurance companies for 1 crore each. Which option is better. I am thinking about HDFCClick2Protect for one policy. Can you please suggest another reliable company for remaining 1 crore. How 15000/= per year would become 16 lakhs after 20 year with 15 % Rate , could u please explain ? Did you try any calculation ? You could google for any of the compounding calculators. Some of them could show an explanation as well. Really a very nice article. My family looks at insurance like investment and my mom forced me to “invest” in LIC insurance. Its been just 1 year so I am planning to cancel it and go for term insurance. This article is really an eye-opener on how to look at insurance plans. Thanks for such a informative article, by reading this I change my mind from Jeevan Tarang to Term Insurance + PPF. Good move with the Term Insurance + PPF. However, it would pay off to look at other alternatives that could a better return with better flexibility options. Thank you for the well written article about life insurance. It cleared up quite a few doubts that were in my mind. Thanks ,. the answers will be put very soon in form of an article ! i want to know about jeevan rekha policy. currently that policy is alive or not. Its launched in 2002 only , I think it should be alive , contact your agent . Say after about 5 years or so, you get an opportunity to invest in a property which is a steal & you know for a fact that the value of the property will double in the next five years, you could always dig into the savings made in the form SIP (which wouldn’t be the case if you opted for an endowment plan). Nonetheless, the important aspect to focus on is ROI you need to yield year. Are you contended with a 10%, 12% or 20% ROI & then choose the investment vehicle accordingly. You way to looking at term insurance is not correct . The feeling that term insurance does not pay anythign at the end and company wins is not the right way of looking at it . In any case its a win win situation , company makes their estimated profit if you survive , that all comes by taking a huge risk of insuring you . so if they made money and you didnt get anything , its pretty fair from business point . If you die and make money , its again fair , because company took the risk and insured you . In case you die early , the IRR will turn out to be fantastic from this policy 🙂 . But if you dont , then the IRR does not look attractive . Waiver of premium option will be great but what are the chances of you actually making use of it . If you have paid premiums for 3 years and then stopped paying, then the policy goes into paid up mode. For such policies the benefits will be proportional to the no of premiums to be paid and no of premiums paid. Just because some other policy has lapsed, does not mean that benefits of policies for which premium is paid regularly, will be reduced or declined. Also one of the LIC agent told me something like this. Suppose I have 3-4 LIC policies with me. I am paying installments regurarly for 2-3 policies. However I could not continue my other 2 policies and those are lapsed. As per him, in this case I’ll not get benefit from LIC on regular policies ? Is it So ? you may think this is silly question ! but it really frightens me. I dont think this makes sense . I came across a article where a LIC agent says that all other insurance companies other than LIC are making loss. How can they pay back you in case you have term insurance ? Thats not the correct way of looking at it . Every company makes losses in initial years of operation , they break even as per their model . If you have correctly filled the form , then you dont have to worry . Thanks for reply. What do you mean by correctly filling form ? Are you saying about reading fine prints or something else ? I would say that each and every company has these products to make more of money . The products are profitable more to company than the investor . We indians love safety and thats the reason we love these endowment products . Our fathers and grandfathers were investing in these things and they are wrong , we should not feel bad saying this . The reasons these products are still selling is because of sheer ignorance from investors. So many of us wouldn’t bother reading through the document during the free-look period. We take things based on face value.. I have a small Q: Recently I ran into a insurance agent who wanted to sell me something, I insisted that I get a term insurance for 50 lks. But he kept on pushing for some moneyback kinda policies. (May be they pay higher commissions to him) Finally he suggested me ‘Jeevan Amrit’ from LIC which he says is a term insurance. For 50 lks (30 yrs duration) I had to pay 1.89 lk in 1st yr, 89k in 2nd yr and 89k in 3rd yr and thats it.. If i survive the 30 yrs I get back the money i initially paid PLUS 6% simple interest for all the 30 yrs. The other Term insurance they had was amolya jeevan where for 50lks coverage of 30 yrs, the annual premium is straight 16k. Can you give your opinion on which option is better? Oh my god .. Did that agent say that “Jeevan Amrit” is a “term Insurance” . I cant imagine this kind of immature and unproffesional behaviour . Not that I doubt their bad quality of advice , but this is height .. I just realized how bad the Amrit is in comparison to Amulya ! That time I was just college pass out so had no knowledge about invest ment , niether internet was available to gain self knowledge. I would like to know what if i discontinue those policy now . As we all know now how low the return is . Even a recurring deposit fetches more return. Would LIC deduct any charges for this & what would I get at the end of maturity of policy. 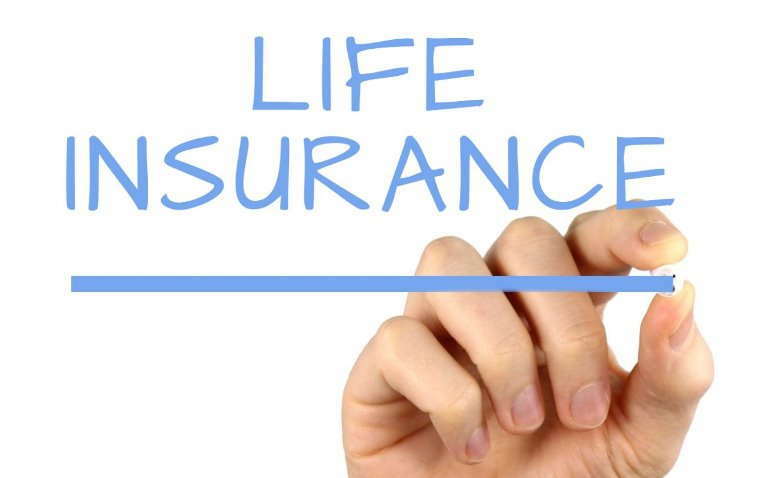 The above article would be the simplest way one can explain " how to do Life insurance planing "
Your article on insurance is really a good one. Though, I have been investing in MF, PPF and so on, I do not have insurance policy yet. I would like to know more on ULIP. My agent gave me a illustration of policy that covers whole life, I would like to know more about the ULIP (hidden cost especially) and answers that I need to know. I read a few articles on life insurance. The rule of thumb when calculating insurance is that you should be covered for about 6-7 times your current annual income. This is a conservative figure and the ideal figure should be about 10. One needs to take into account the inflation and a person;s increase in income over the next 10 years or so. Also, one should adjust this amount at important steps in life. Events like marriage and kids will add to your financial ‘burden’ and hence your cover should be enhanced. By this rule, your guy needs a minimum cover of 15 lakhs and an ideal cover of 24 lakhs. 30 lakhs of cover is a bit high, but a good number indeed. Great work manish, I have got the clear meaning and difference between inssurance and invesment product, from this article I got the meaning of inssurance. thanx a lot, GR8 work!! !